Blue-and-gold enthusiasm is building for the Spring 2011 semester. Here is a guide of information with dates and events that will come in handy in the next couple of weeks and beyond. Monday, Jan. 3, FIU will welcome back to its campuses students, faculty/staff and administrators looking forward to a new year and the official start of the spring semester on Jan. 10. Panthers have much to look forward to as a new calendar year begins and both Modesto A. Maidique Campus (MMC), Biscayne Bay Campus (BBC), as well as the Pines Center and the university’s Frost Art Museum and The Wolfsonian-FIU move forward with their commitment to elevate the blue-and-gold experience. A highlight that took place while we were on break was FIU’s first bowl win when the football team clinched the nail-biting Dec. 26 Little Caesars Pizza Bowl in the last 4 seconds of the game with a Jack Griffin field goal that put the Panthers ahead of Toledo, 34-32. “This was a great experience and a great opportunity for our university to shine on the national stage,” said Coach Mario Cristobal. By going smoke free, FIU has added its name to a growing trend in the country, and the university continues to offer free tobacco-cessation services, as well as tobacco dependence services to FIU family members who want to kick the habit. This month, the university’s Hope for Haiti initiative will be at the forefront as we mark the first anniversary of last winter’s devastating earthquake on Jan. 12. Stay tuned for details. Getting a leg up on the official Week of Welcome schedule is the President’s New Student & Family BBQ at the Stadium Club on Jan. 8, from 2-4 p.m. THIS EVENT HAS BEEN CANCELLED. The event will serve as a preamble for the basketball double-header at U.S. Century Bank Arena, which will see FIU’s women’s and men’s teams take on South Alabama at 4:30 and 7, respectively. The President’s New Student & Family BBQ has been rescheduled for Jan. 29. Folks should still plan to attend the basketball double-header at U.S. Century Bank Arena, which will see FIU’s women’s and men’s teams take on South Alabama at 4:30 and 7, respectively. Panthers with questions may find answers at various campus locations at both MMC and BBC, where volunteers will man Ask Me tables set up Jan. 10-11, from 8 a.m.-8 p.m.
Tues., Jan. 11, 11 a.m.-2 p.m., Betty Chapman Plaza, MMC: Campus Life Extravaganza – Learn about getting involved with different councils and positions with FIU Campus Life. Thurs., Jan. 13, 1:30-3:30 p.m., GC Lawn, MMC: Community Service/Non-profit Fair – Learn about the different community services available through FIU. For a complete schedule, call 305-348-6414 or click here. For BBC events, call 305-919-5804. Fri.-Sun., Jan. 7-9: Official Housing Check-in. Sun., Jan 9: Last day to register without incurring a $100 late registration fee. Mon., Jan. 17: Martin Luther King Jr. Holiday (FIU will be closed). Tues., Jan. 18: Last day to drop courses, add courses or withdraw from the university without incurring a financial liability. Fri., Feb. 4: Last day to withdraw from the university with a 25 percent refund of tuition. 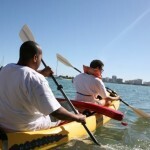 From Jan. 12-19, FIU will commemorate the 20th Annual Rev. Dr. Martin Luther King Jr. 2011 Celebration with events at both MMC and BBC. Starting Wednesday, Jan. 12 through the end of the month, the Frost at MMC will host the “MLK: Worlds Ahead at the Museum” exhibit. On Saturday, Jan. 15, the entire FIU family is invited to participate in the MLK Day of Service sponsored by the Center of Leadership & Service/Services for Peace beginning at 8 a.m.
Also on Jan. 12, the Student Government Association at BBC will host Dan Savage as part of its lecture series. The author and columnist behind the It Gets Better campaign, which spreads positive messages to the LGBT community about coming out, being gay and a healthy sense of self in the face of bullying, will speak in the WUC Ballroom from 6:30-7:30 p.m.
On Monday, Jan. 17, FIU once again will take part in the annual MLK Parade beginning at 8 a.m. in Liberty City. A couple of film screenings are set for 7-10 p.m. on Jan. 18 at MMC, while the MLK Youth Forum and Peace Walk will take place from 10 a.m.-12:30 p.m. at BBC the next day. Per tradition, the university’s largest student fundraiser, Dance Marathon, benefiting Miami Children’s Hospital Foundation through the Children’s Miracle Network, will take place Jan. 29-30 at the Rec Center at MMC. Later in the semester, the university will have another chance to give back when the 2011 FIU Relay for Life gets underway March 4-5 at MMC, on Palm Avenue at the 8th Street entrance to the campus in front of the Ryder Business Building. This year’s theme is “Playing for ‘Life’” (as in the board game) and organizers have set goals to register at least 80 teams – like in 2010 – and raise more than the $65,000 that was raised last year for the American Cancer Society. The Women’s Center’s 5th Annual Women Who Lead conference will take place March 8 at BBC and March 25 at MMC. Registration begins on Jan. 31. Later in the year, the Women’s Center and the Victim Advocacy Center will partner to promote sexual assault awareness, prevention and safety on our campuses and the community during the sixth annual “Take Back the Night” event on April 12. For more information, contact Suzanne Onorato at onoratos@fiu.edu. The Wolfsonian-FIU in Miami Beach will continue to offer a full schedule of monthly book club meetings, performances and public talks (featuring the likes of artist and professor Mark T. Smith, World Fair attendee Alan Raynor and preservation activist Betty Gutierrez, among others), as well as numerous special events and tours of the museum’s surrounding Deco architectural landmarks. Ditto, the School of Music, which has put together a full season of performances that will bring music to FIU’s campuses and the community. 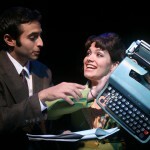 A scene from "The Ruby Sunrise." FIU Theatre will kick off its spring season on Jan. 20 with The Ruby Sunrise, which will play at the Herbert & Nicole Wertheim Performing Arts Center at MMC. Later this winter, theatre enthusiasts should expect on-campus a production of Jane Austen’s Pride and Prejudice (March 3-13), before the season ends with William Shakespeare’s Twelfth Night (April 7-17). The museum then will present on Feb. 11 its latest speaking engagement in the Green Critics’ Lecture Series, featuring Christo. On an athletic note, FIU’s basketball programs and cross country/track & field, golf, swimming & diving and tennis teams are in the middle of their seasons. And the baseball team is set to return to the field next month. For tickets and information on these spring sports, call 1-866-FIU-GAME or click here. Decal enforcement will begin on the first day of the 2011 Spring Semester. 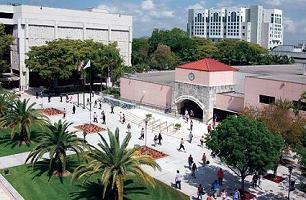 Libraries: Green Library at MMC – 305-348-2451; BBC Library – 305-919-5718; Broward Pines Center Library Liaison – 954-438-8608. Golden Panther Express tickets are $4 per round trip, $20 for 5 trips and $54 for 15 trips. You can save one of your rides to use at a later time when you purchase a round-trip ticket. Tickets must be purchased in advance. 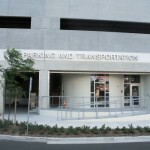 At MMC, tickets are available at the Department of Parking’s new offices at PG5. At BBC, tickets may be purchased in Room 353 in the Wolfe University Center. The CATS shuttle is a free shuttle. For more information on Spring semester Intramural Sports, Adventure Recreation trips, PantherFIT Group Fitness Classes, Special Events, and recreation facility schedules, go to recreation.fiu.edu and select either the Maidique or Biscayne Bay Campus link. Other information is available at either the MMC or BBC Recreation Centers.